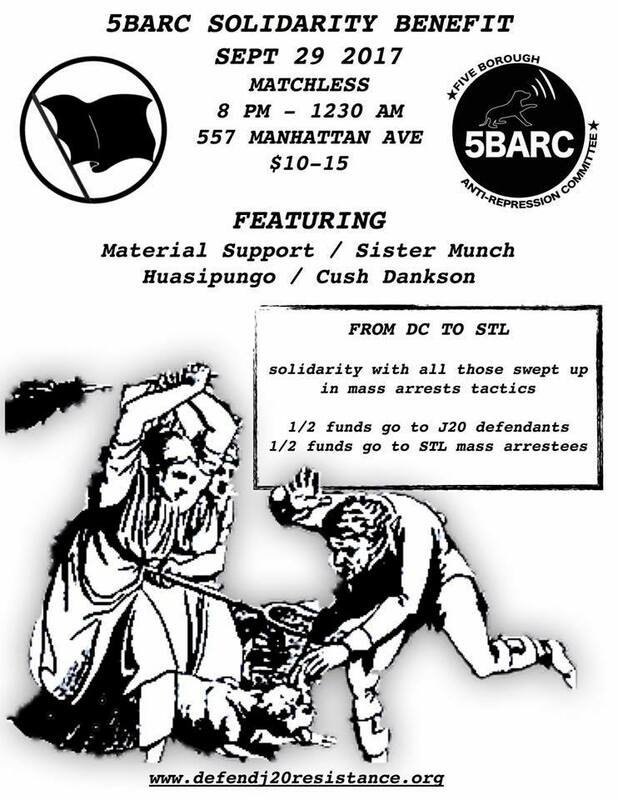 The 5 Borough Anti-Repression Committee is hosting a benefit show to support NYC J20 defendants. Each trial is expected to be weeks long in Washington D.C and expensive as hell. Defendants will have to take time off work, find housing, and hire expert witnesses. An NYC based defendant is going to trial this December, with many more NY defendants to follow throughout 2018. 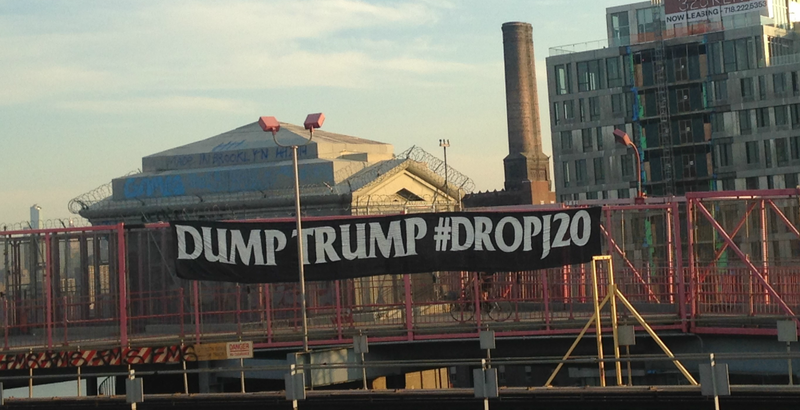 On January 20th, during massive protests at Trump’s inauguration, protestors, journalists, legal observers, and by-standers were subject to police misconduct by the Metropolitan Police Department in Washington DC. Hundreds of participants were chased with less than lethal munitions and cornered at the intersection of 12 and L street by police. Over 200 people now face at least 8 felony charges and 75 years in prison if convicted. Share this event with your comrades, friends and family!